Jennifer Purdie is a journalist with a background in magazine editing and writing. She has served on the editorial staff of three national and two regional magazines. Purdie has managed content for an online health and fitness publication and served in the position of medical health writer. She also started an athletic magazine in Tempe, Arizona geared toward student-athletes and coaches. 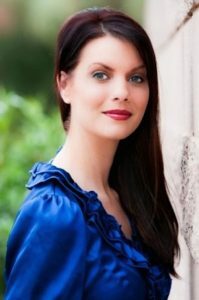 Some of the publications she has written for include the Los Angeles Times, Washington Post, Buzzfeed, Running Times Magazine, Purple Clover, Triathlete, Phoenix Magazine, Creating Keepsakes, Scottsdale Magazine, the Arizona Republic, Competitor, Valley Lifestyles, Chicken Soup for the Soul, Medium, and numerous websites such as Success magazine, cnn.com, takepart.com, active.com, askmissa.com, triathlete.com, rev3tri.com, livestrong.com, among others. Purdie was also an adjunct faculty member of Ashford University in the English department. She has also been featured in USA Today, Shape magazine online, Scottsdale Health Magazine, Fitness Business News, US News and World Report, Ladies’ Home Journal and Woman’s Day magazines. Purdie has also completed on-camera interviews for Fox Sports News, NBC news and triathlete.com, as well as a featured source on Sirius radio. She also conducts several personal speaking engagements on the topic of running each year. She is also a regular on The Moth storytelling market and performs throughout Los Angeles. In her personal life, she is an active marathoner, triathlete, and Ironman finisher, participating in events all over the world. In 2010, she became one of the youngest women in the world to complete a marathon on all seven continents. She is currently in the process of trying to become the youngest woman to run a marathon on all seven continents twice. She loves international travel and traveled to more than 35 countries, as well as has competed in ballroom and salsa dancing competitions, figure skating competitions and is an accomplished pianist. Purdie pays it forward by providing pro bono marketing and writing services for non-profits raising funds through 5K events. She supports the Susan G. Komen Foundation and Crohn’s and Colitis Foundation, among other worthwhile charities. She holds a Bachelor’s degree in English from the University of Washington, a Master’s degree in education from the University of Phoenix, and a scholarly publishing certification from Arizona State University, as well as a personal training certification from the National Academy of Sports Medicine. She also speaks Spanish, having studied abroad in Spain. Purdie is a member of the Society of Professional Journalists, Society of Technical Writers and Toastmasters International.